Rahul Gandhi is travelling by a special bus along with top state leaders, including the President of Karnataka Pradesh Congress Committee G Parameshwara. Bengaluru: Campaigning in poll-bound Karnataka, Congress president Rahul Gandhi addressed rallies and public meetings on the third day of his Janashirvada Yatra. While addressing tribals in Devadurga, he said Prime Minister Narendra Modi has not been able to give jobs to a large section of the population. Mr Gandhi is travelling by a special bus along with top state leaders, including the president of Karnataka Congress G Parameshwara. His itinerary includes Raichur, Yadagiri and Gulbarga districts in Hyderabad-Karnataka region. 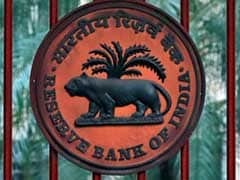 The schedule for the Karnataka assembly elections is yet to be announced even as Congress and the BJP engaged in a war of words over the issue of corruption and law and order. Mr Gandhi has stepped up attacks on Prime Minister Narendra Modi who campaigned in Bengaluru earlier this month. The Congress government in Karnataka led by Chief Minister Siddaramaiah aims at retaining power in the state. 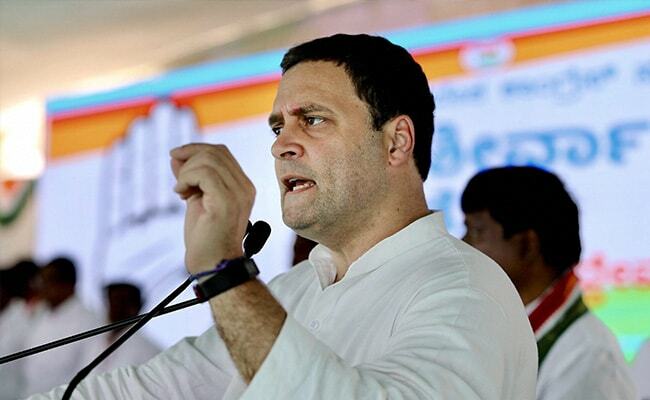 Congress president Rahul Gandhi today accused BJP of creating friction between communities and "igniting" fire as he campaigned in Karnataka. "Wherever there is a BJP government like the ones in Haryana, Uttar Pradesh and Rajasthan, violence prevails," he said at a rally in Jewargi. "Peace prevails here Modi ji. Go and see what is happening in UP, Haryana, Maharashtra and Rajasthan. There is violence which is being spread. So don't talk about violence and corruption when you visit Karnataka. 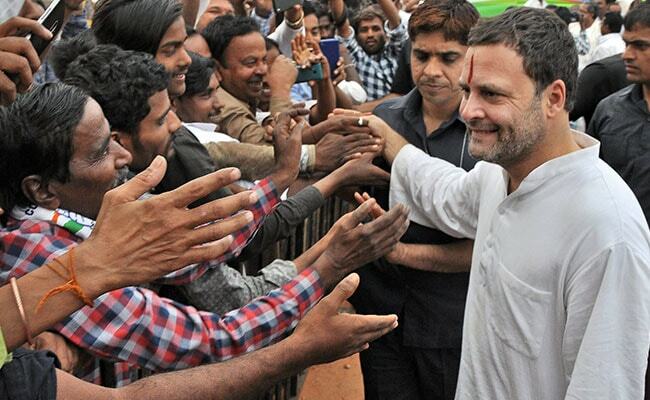 People of Karnataka are intelligent and they know everything," Mr Gandhi said. Congress President Rahul Gandhi addresses a gathering at Devdurga, Karnataka. Karnataka Chief Minister Siddaramaiah is also seen next to Rahul Gandhi, enjoying his chai and pakodas. 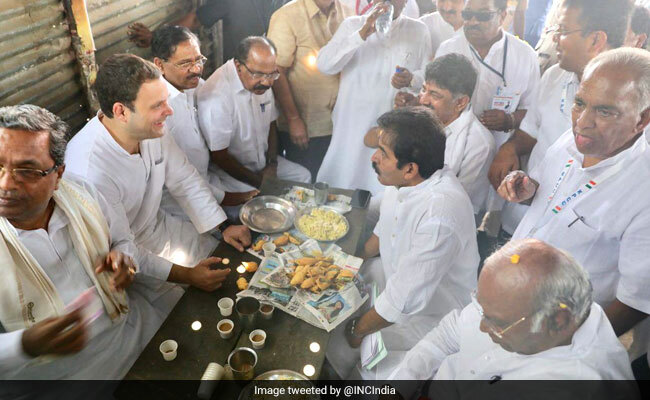 Rahul Gandhi stops for tea and <i>pakoras</i> at a local shop at Kalmala village, Raichur. 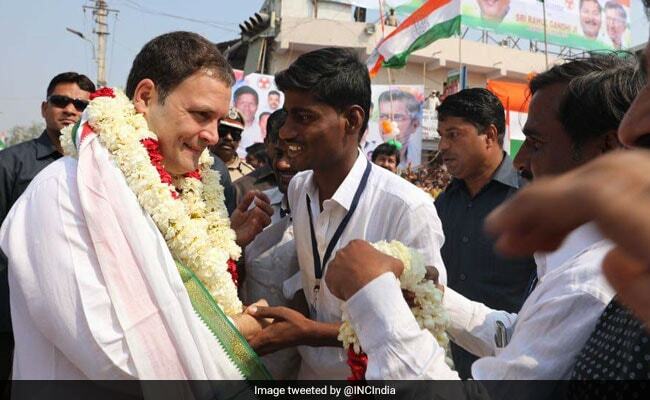 Rahul Gandhi welcomed by supporters at Gunj Circle in Karnataka's Raichur district.